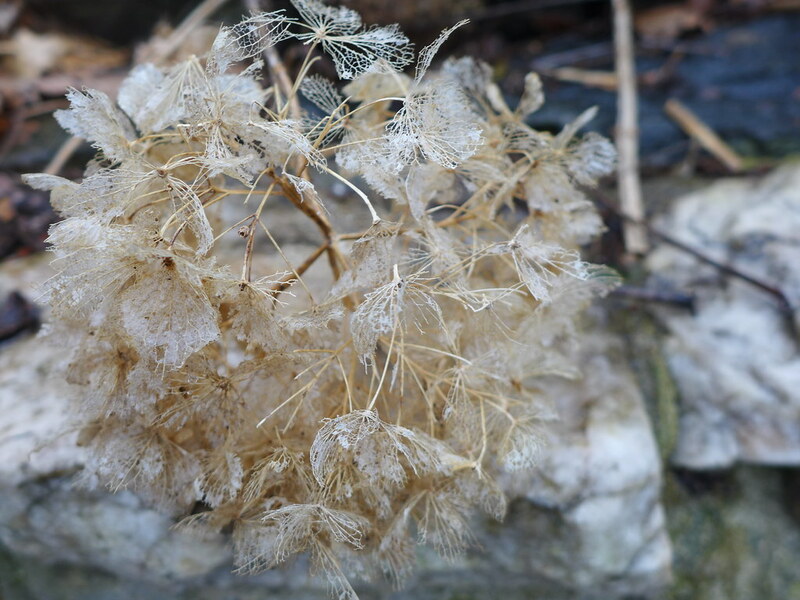 It wasn't the ideal weather for a photography walk but I was running out of time to participate in A Tidewater Gardener's annual Winter Walk-Off roundup. A couple of weeks of professional commitments delayed me. Anyway, after a very good lunch of grill roasted vegetables over arugula, I headed out in the rain. Thankfully the rain was not steady nor was it heavy but it was enough that my walk was a short one. From my house I headed north one block, west one block, then south for another block then west again for a short block. I walked a short block heading west then made a quick easterly tuck onto a bike path heading south back home. I was worried that the low cloud cover would dull the photographs so I was pleasantly surprised when I viewed my photos on the computer. I hope you enjoy the photos as much I do! 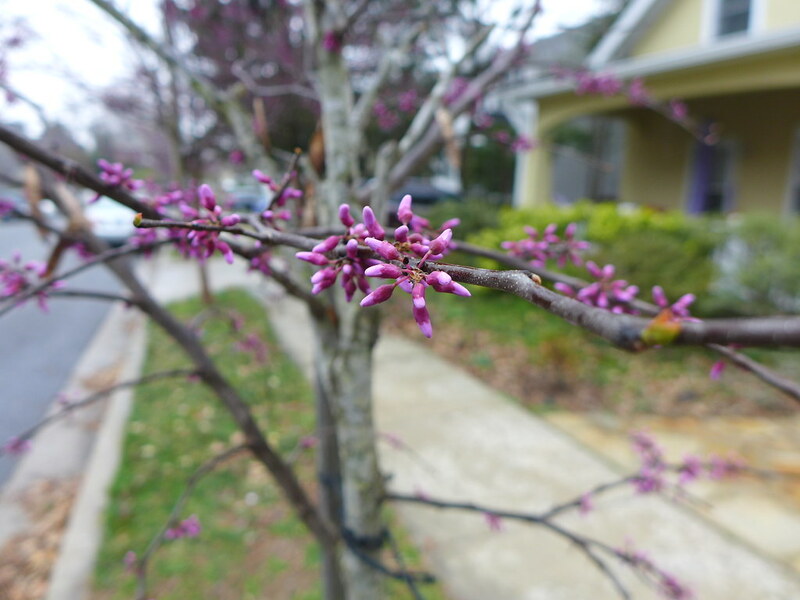 The western side of our block is lined with redbuds. 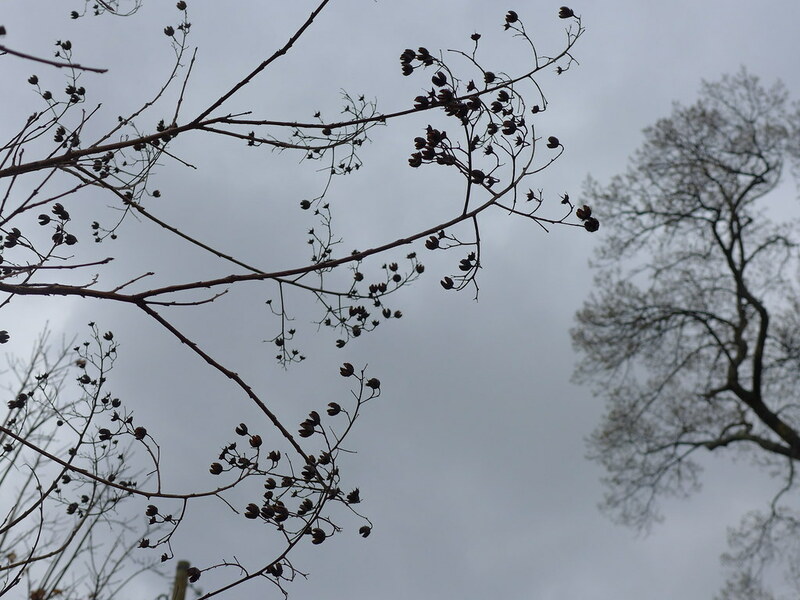 I really like hydrangeas in bloom but their winter state is pretty compelling, too! Hellebore. 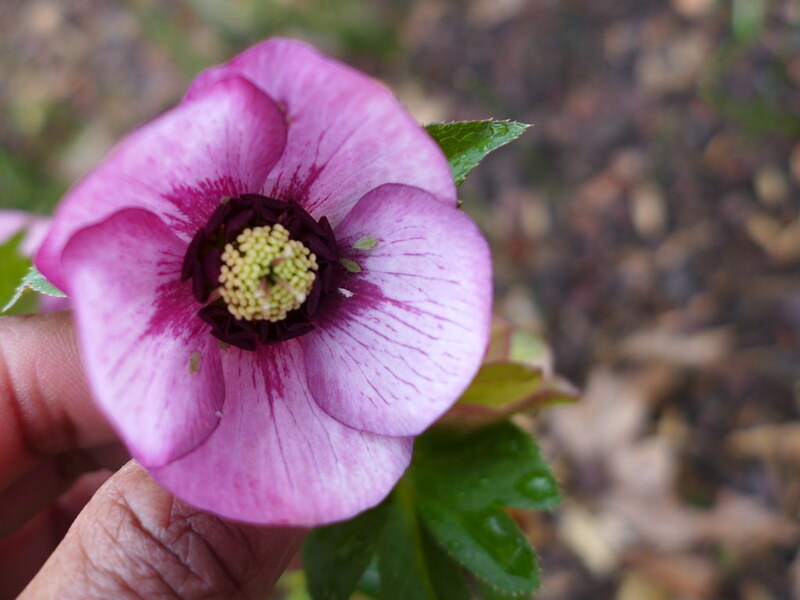 Lenten rose, but not a true rose. 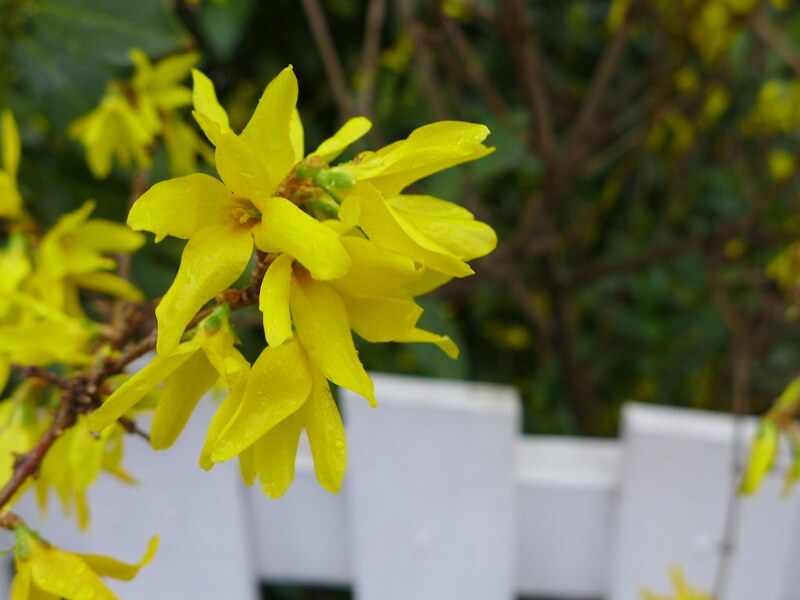 Lots of forsythia in the neighborhood. 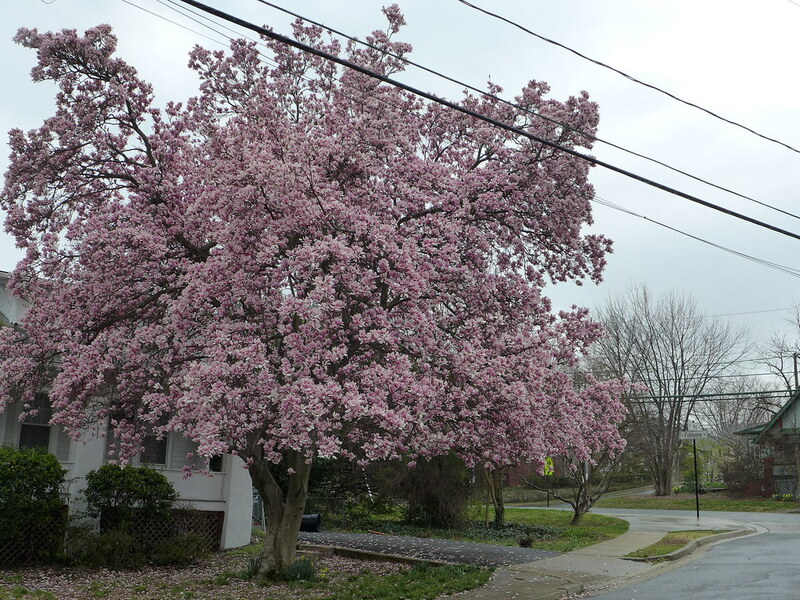 The neighborhood is graced with many saucer magnolia trees, and this might be my favorite of the one's I have seen. 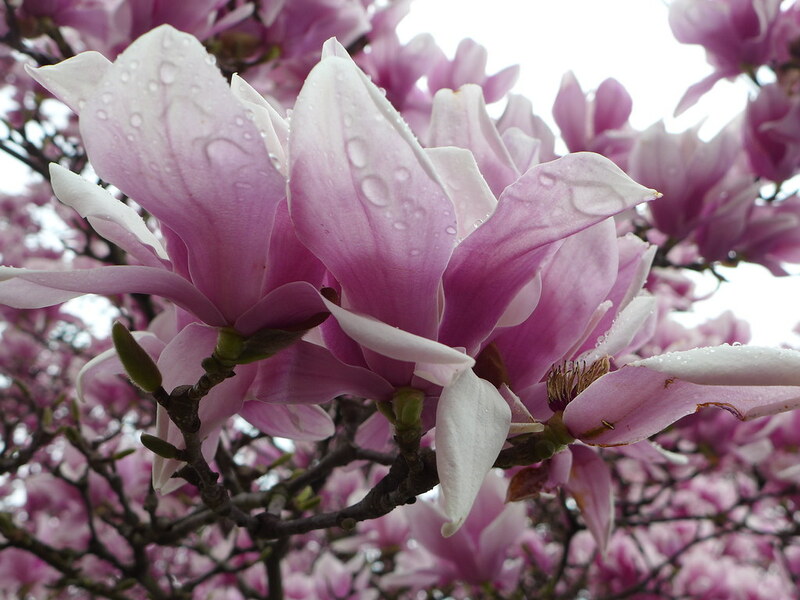 Another commonly seen tree in the neighborhood is the tulip poplar, and it too has a stunning flower. 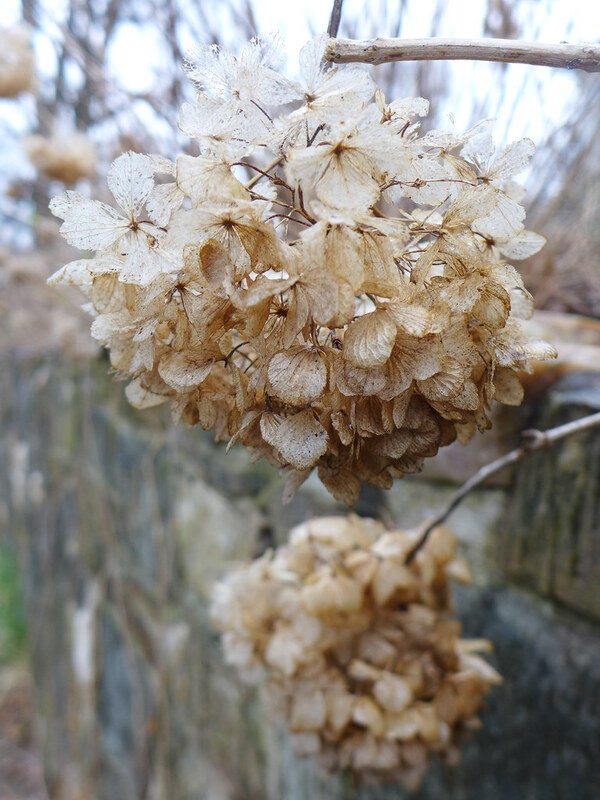 Winter is still hanging on -- dried crape myrtle seedpods. Also, snow is forecasted for tonight and tomorrow. Happy Spring! See the full set of Winter Walk Off 2016 photos on Flickr. For a completely different setting, read my Winter Walk Off on Bleecker Street post. Thank you for walking again this year Georgia. That magnolia is luscious. If we ever move to home with a larger garden, I want to have several of these trees. They are too fleeting for the small garden I have now. That particular hellebore is nice too. Rain can really add a lot more light to photos than one would think. 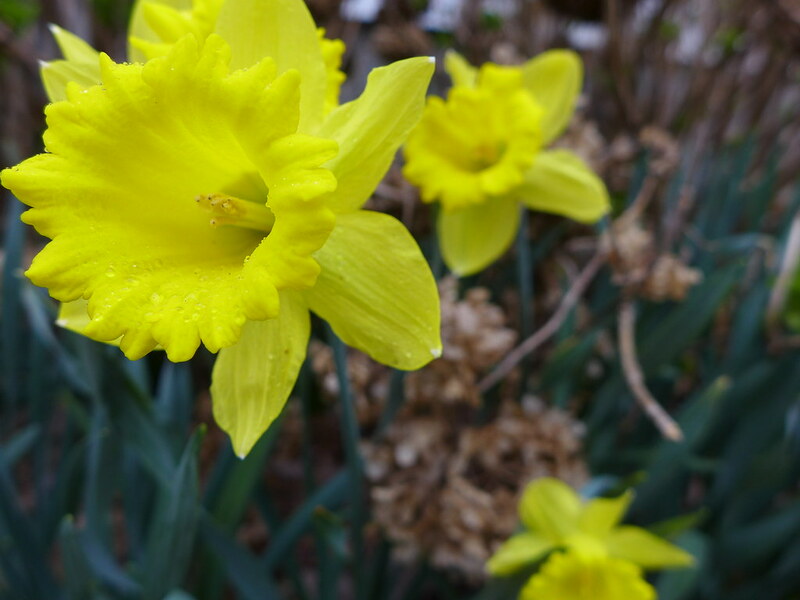 I particularly love whites and yellows that are photographed under cloudy skies or in the rain. Thanks for braving the elements. Welcome, Marilyn! 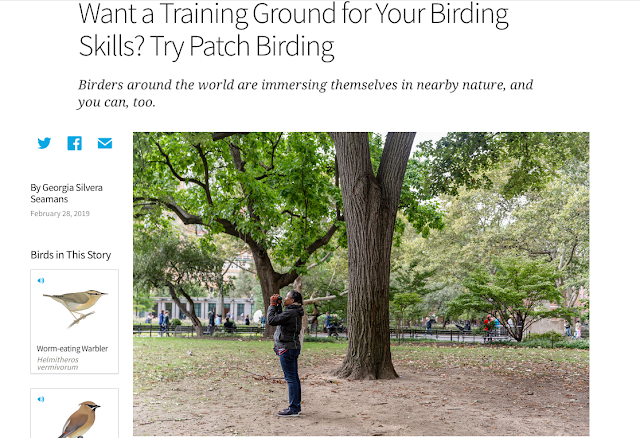 I'll keep your take on photographing in the rain and feel blessed this spring. Trees growing next to the streets - what will Virginia DOT think! They won't cut the grass in the medians due to tight budgets, but they have enough money to cut down the hell-strip tress people plant in my neighborhood.